Customers often ask us to recommend Bibles – as you can imagine that’s not at all a simple task, since there are so many different types of Bibles, translations, and designs – all which ask the customer to research what he/she is looking for in a Bible….. Compact, Wide Margin, Reference, Text, Hardback, Genuine Leather, Natural Goatskin, Color, Red-Letter, KJV, ESV, NLT etc…..There are a lot of variables here! Having said that our customer service staff does its best to listen to what a person is seeking and match them with a corresponding Bible! 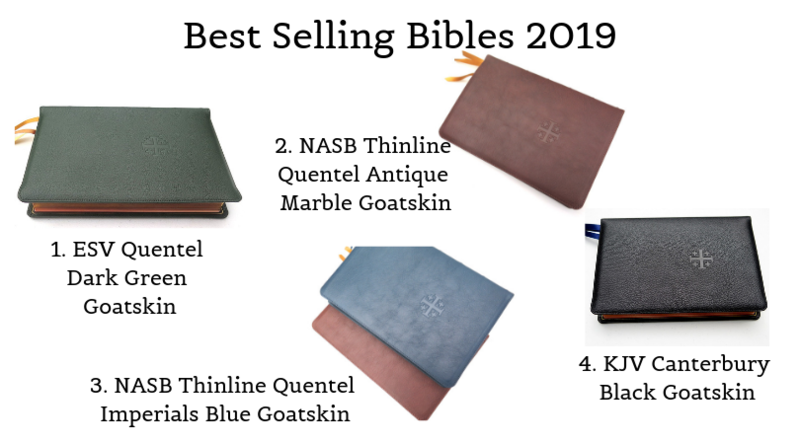 Below is a list of our Top Selling Bibles (from Jan. 1, 2019 to Feb. 15, 2019) – all of which we recommend because YOUR feedback has been extremely positive and we rarely get these Bibles returned for quality issues. 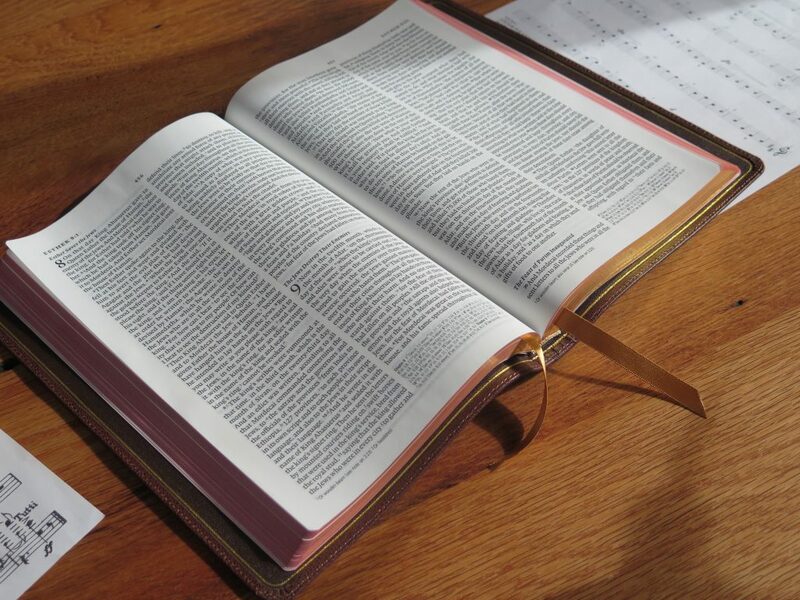 Please note: There are many top of the line Bibles that are not on this (for example the Cambridge Clarion Series) – but are equally worthy of mention – so please do your homework before purchasing your Bible. 1. Schuyler Quentel ESV – Sales of this Bible have been phenomenal (4 out of Top 10). These Bibles have been best sellers for the last 4 years. Excellent Bible. 2. Schuyler Quentel NASB – This Bible has had phenomenal sales over the past 3 years. Amazing. 4. Schuyler Canterbury– the Canterbury has been our most popular KJV Bible over the past 2 years. Quite a feat in a crowded KJV field. 5. Crossway Omega (black goatskin): This Bible has stayed in the top 5 for about 5 years. An amazing classic. Very Affordable. 2 new colors coming soon: Vintage Brown & Ocean Blue. Just as a side note – stock is getting extremely low in both of the top 2 Bibles! Also – we are often asked why Allan Bibles do not generally make it to the top 10. The most obvious reason is supply. Allan has not had stock of its premium versions for some time.